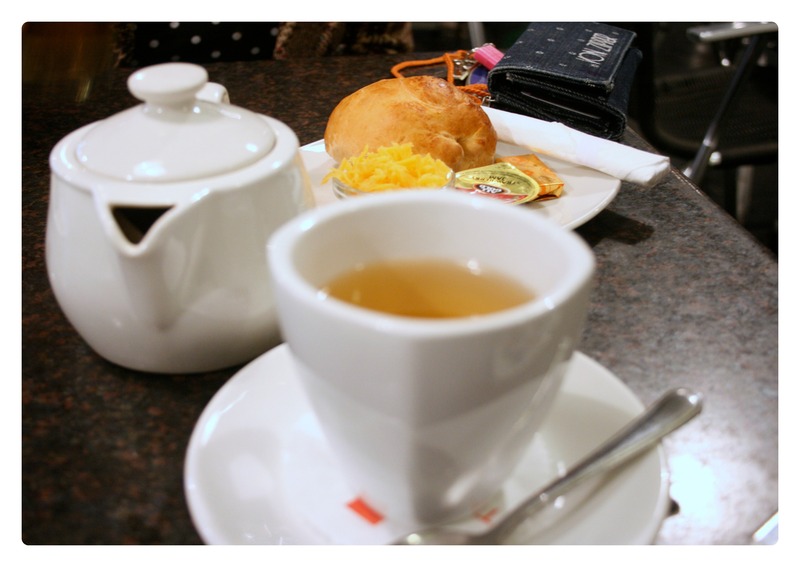 It’s taken me ages to get this post out, purely because I love this little café so much that I would rather spend my time eating there than being tortured by the glorious memory of it. That’s before I even have to edit all the photos of their amazing food. Gosh no, it’s just too difficult. Urban Angel Café is my new favourite little hot spot, and it’s less than 3km from home! So I’m writing this post in the comfort of their wafts of freshly baked bread, with an unhampered view of their mountain of fresh biscuits, sitting on the counter, whips of steam still practically floating above them. What I absolutely love about this place, is their modern menu. And I don’t mean modern in a pretentious way, where owners are trying to sell the “next best thing”. I mean they genuinely care about producing meals that taste amazing and happen to have all these amazing new superfoods in them. 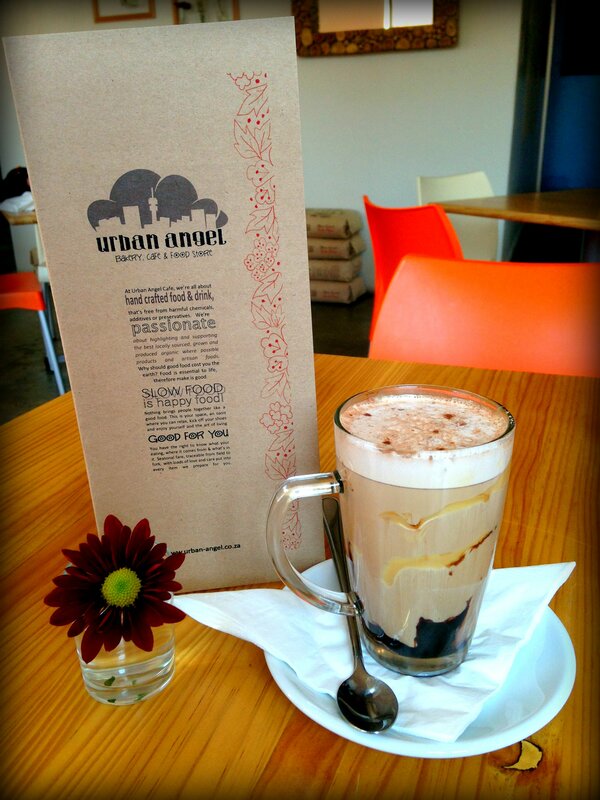 You can go to Urban Angel café on pretty much any diet, and you will probably find something that suits you – and it’s guaranteed to be delicious. And if you’re not on a diet, they have these incredible brownies that were recommended to me by everybody – friends and strangers alike – that I tried to resist for so long. I knew that if I gave in, it would be over for me. And it was… My advice: stay away from the brownies if you value your waistline. Sweet and salty mocha with a swirl of caramel. Literally best drink ever! For the most part, their creativity is pretty spot-on. My first experience of their food wasn’t that great though. I ordered a peanut butter espresso milkshake and was highly disappointed to find it was made with homemade nut butter, a combination of peanut and cashew. In the end it just tasted like very milky coffee with chunks of nuts. But hey, that’s what happens when you try to be too healthy, it doesn’t always work out. Pretty good otherwise! 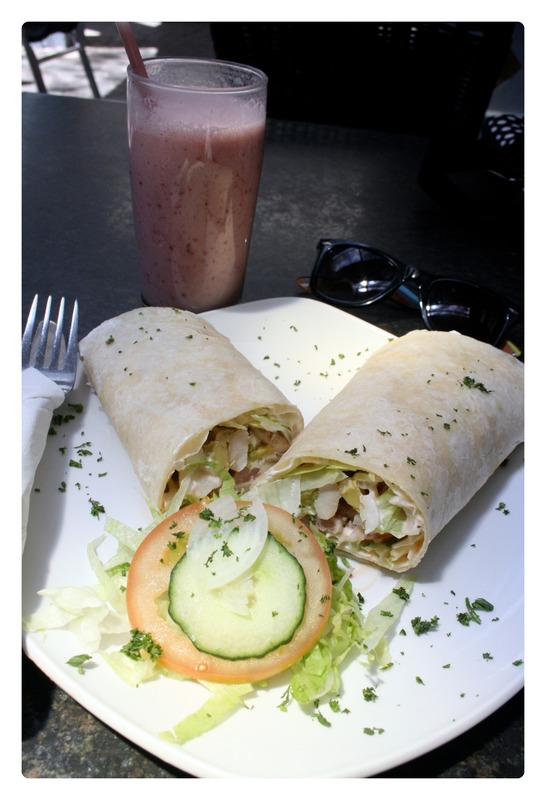 Their meals are reasonably priced and really generous, full of healthy goodness! 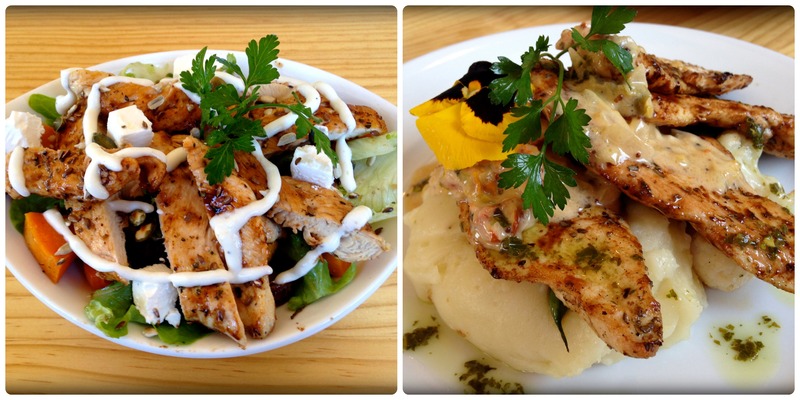 Grilled chicken with beautifully flavoured sides – their mash was some of the best I’ve ever had! Their service is great as well, always extremely friendly. 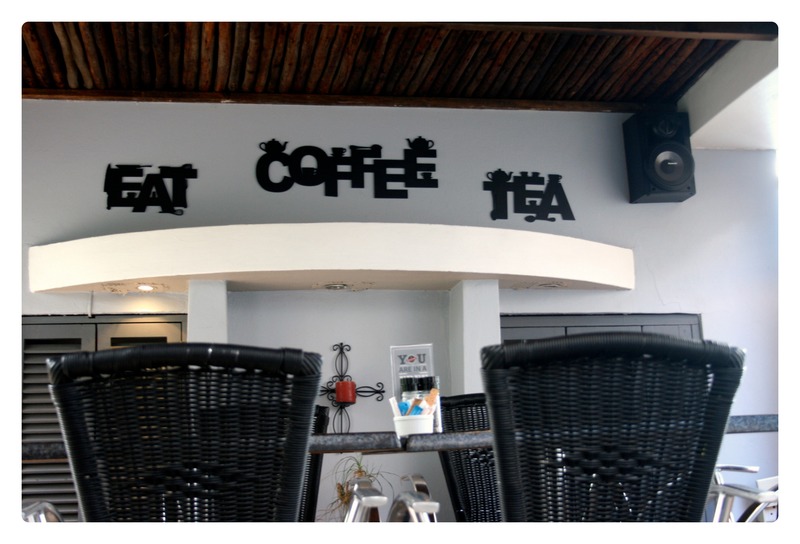 Urban Angel Café: Bakery, Café and Food Store can be found just behind the shopping centre in the office park (President Fouche Drive And Hawken Avenue, Randburg, Johannesburg). It’s a bit difficult to find, but I guess that way it can be a little piece of hidden gold until everyone learns about its magnificence. It’s amazing what new management can do. 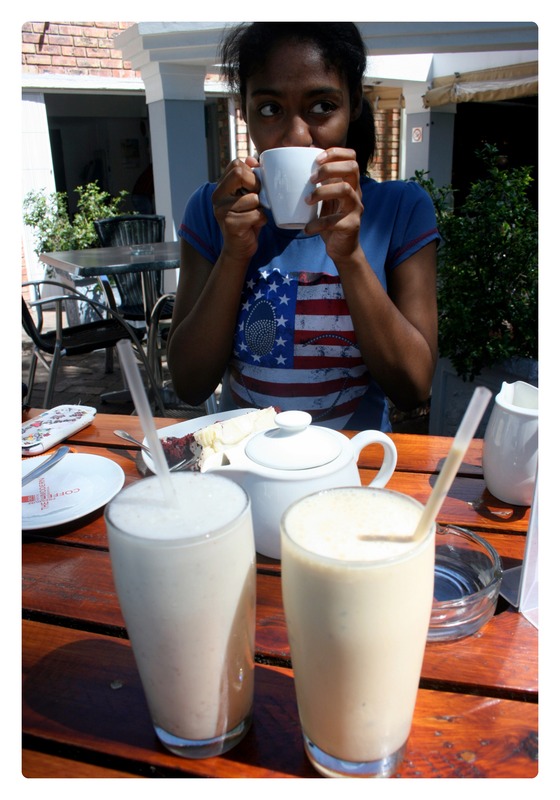 In my first year at Grahamstown there was this random little coffee shop at the only shopping centre in town. Sometimes you’d hear of people going there, but mostly it felt like walking past some long-forgotten church, or the University library at the start of the New Year (when people have forgotten how much work they could actually be getting done in there). 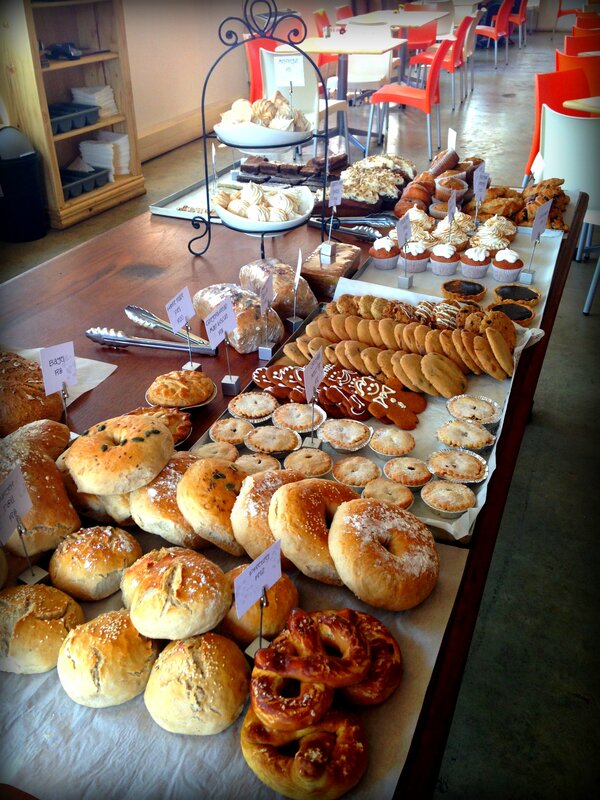 Now, Revelations Café is a go-to food-spot, especially if you like your cakes. They had a great revamp and gained popularity again in 2012, with all sorts of wonderful specials to draw in the crowds. Not only were the prices reasonable and competitive, but also the quality of the food was really above the common Grahamstown standard. Their cakes would be one of their major draw factors: they are made perfectly every time and they have a really nice wide variety. I was disappointed to learn that they don’t actually make these on site, however. The cakes are supplied by Chateaux Gateaux. Since learning this, it appears that a huge number of coffee shops have their cakes supplied by them too. So Revelations’ cakes aren’t all that special, though they are really delicious (and you can’t beat mass-produced consistency sometimes, can you?). Their breakfasts are definitely winners. Sometimes they offer a breakfast special, though their breakfast menu options are worth spending the extra money on. They are generous with their portions, particularly in their omelettes. 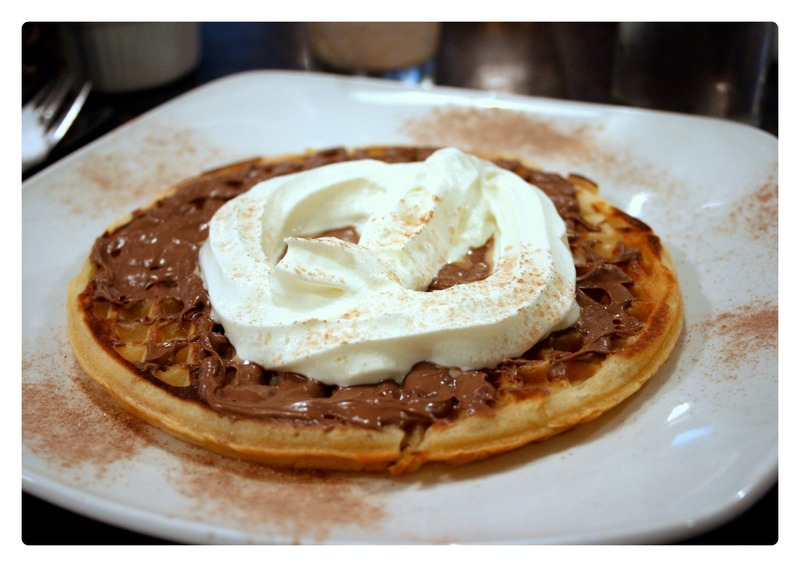 Waffles are good for breakfast too… Revelations knows how to maximise on the Bar One too, which is great! 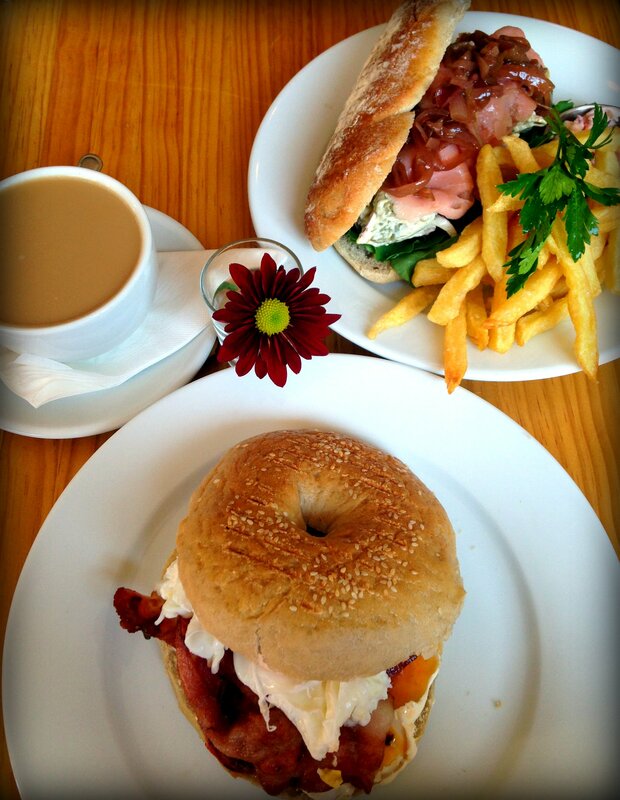 Revelations offers lunch and dinner options as well. On a student budget a lot of the dinner choices are a bit excessive, though they are around the same price as you would expect to pay in other larger towns and cities, and the quality is good (think café burgers rather than steakhouse burgers though). Their wide range can cater for a number of dietary requirements (healthier options and vegetarian options, for example), but it does make decisions really hard. You can enjoy their delicious smoothies out under the trees or you can cuddle up under cover on the couch with a decadent hot chocolate (complete with marshmallows, whipped cream and a flake), which makes it ideal for summer or winter treats. Generally their service is very friendly, though relaxed enough that you remember you are not in a large town where waiters are there to pander immediately to your every whim. 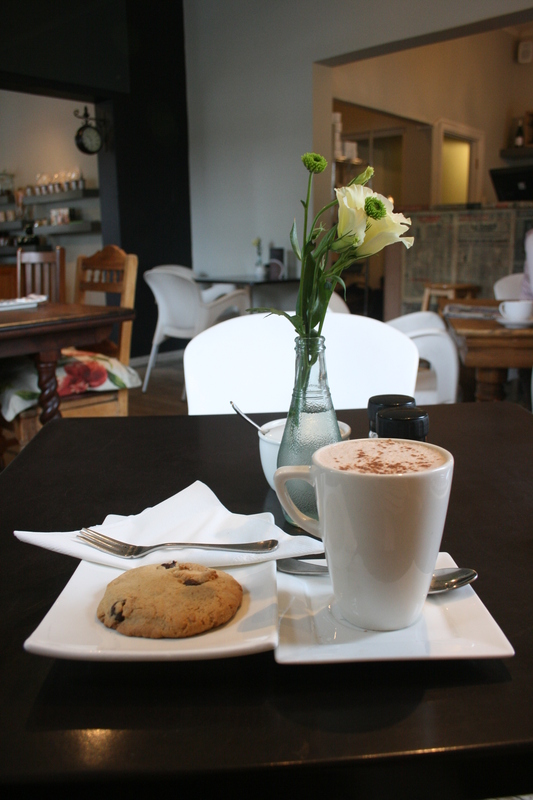 This café is definitely worth a visit when in Grahamstown, and also good for regular treats with friends (just not on a Sunday, unfortunately). Added bonus: they have free wifi. Mmmm milkshakes. I used to think that Bar One milkshakes was about as extreme and amazing as you could get (there is no disputing that they are fabulous, though). 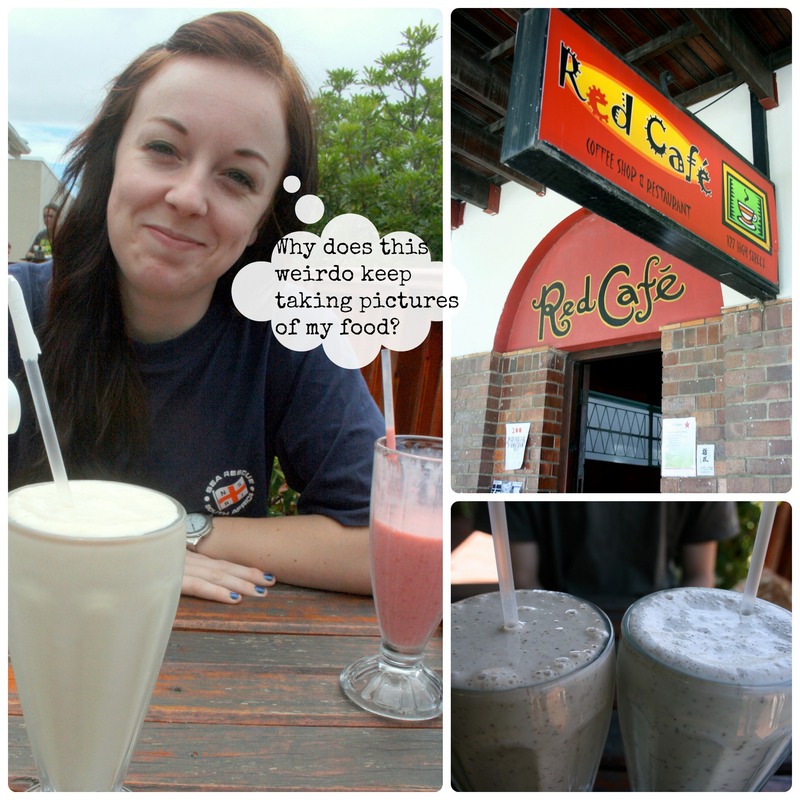 Then I found Red Café, and I was completely blown away. Peanut butter milkshakes to blow you away, strawberry and banana smoothie (Pam thinks she’s healthy). Bar One milkshake next to a peppermint crisp milkshake which tastes just like the dessert. They have your traditional chocolate and vanilla, but then they also have Milo, Horlicks, and even peanut butter milkshakes! It’s like a perfect peanut smoothie, but it’s a milkshake, so it’s better. Then they have Dessert Milkshakes, which include peppermint crisp (Peppermint Surprise for those students who live in res at Rhodes University), Bar One and Oreo (cookies and cream is always a winner). They also serve smoothies if you would prefer to appear healthy, but they taste so great that it’s hard to believe it’s healthy fruity ingredients. 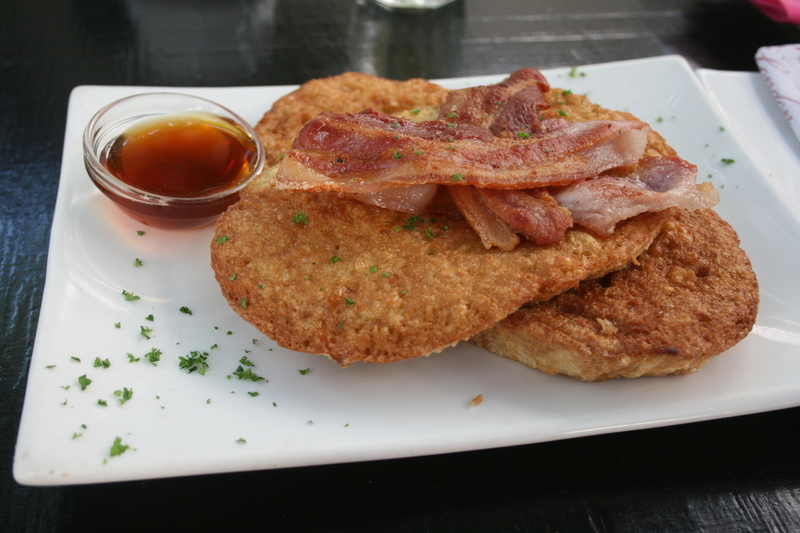 They have a charming breakfast menu, but the food menu is dominated by tramezzinis and baguettes. Their tramezzinis are definitely the better option, though, as they crisp up nicely, while the baguettes are rather bland… They also do salads and cater for certain fussy diets. Breakfast wrap and a breakfast tramezzini, same filling, different outside. 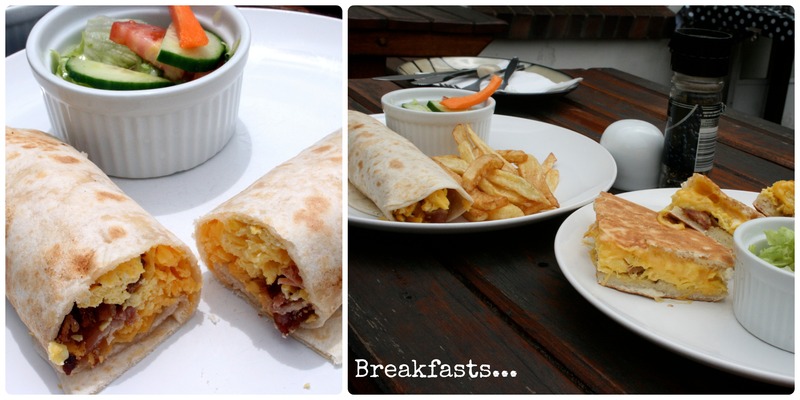 The wrap itself was somewhat bland, so it is better to have the cheese, scrambled egg and bacon in it’s crispy tramezzini form. Darren enjoyed a chicken mayo tramezzini, which was full to bursting with more than just a chicken mayo filling – there was cheese and I think they even crammed some mushrooms in there. My first port of call, though, is the sweets and treats, obviously. Brownies, millionairs shortbread and an assortment of cakes go down a treat. My latest delight there was a chocolate brownie that was delicious. 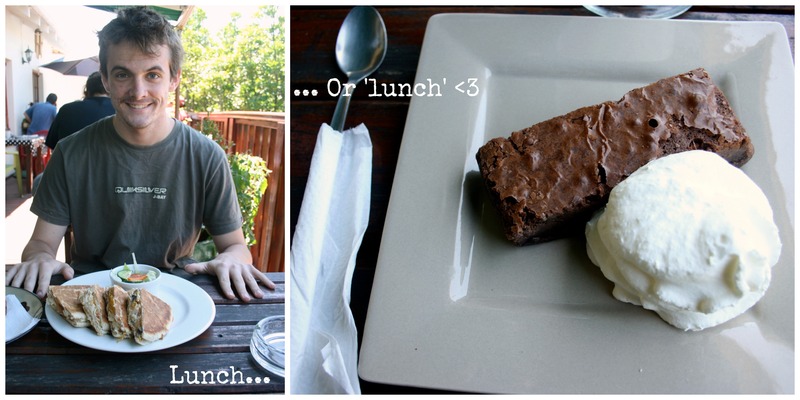 I couldn’t figure out if it was a especially gooey brownie, or slightly under-done; either way, it totally worked. 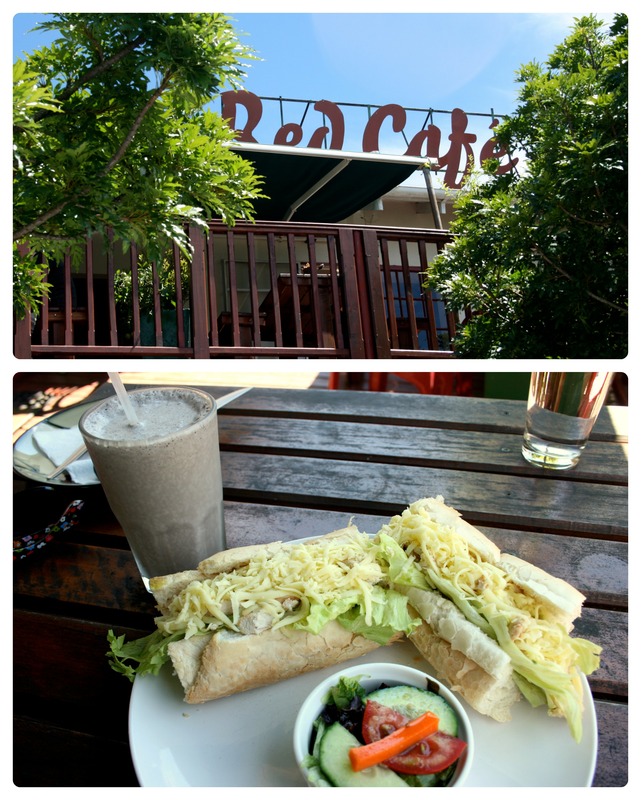 Red Café is definitely under-appreciated, though it does receive a steady amount of business by the sounds of things. It’s a pity about their open times, but it is understandable for a café to not be open for dinner; their menu doesn’t lend itself to that as much. Their food is consistently improving, providing reliable deliciousness – keep it simple and you’ll definitely get it right more often. 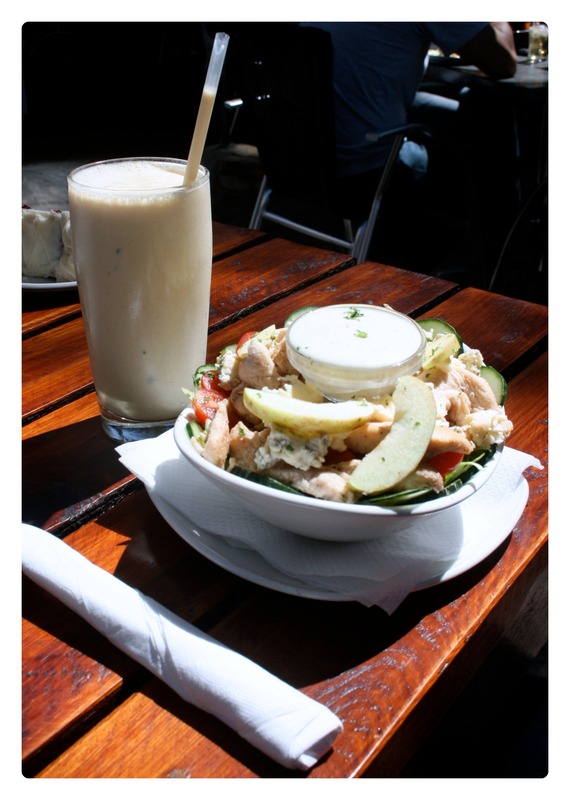 Their location and set up is also ideal – the balcony overlooking the high street is quaint and cool (under the shade at least) for a hot summers day with a shake or a smoothie. They have a unique balcony with a charming view. Here I enjoyed a roast chicken and cheese baguette with an Oreo milkshake. 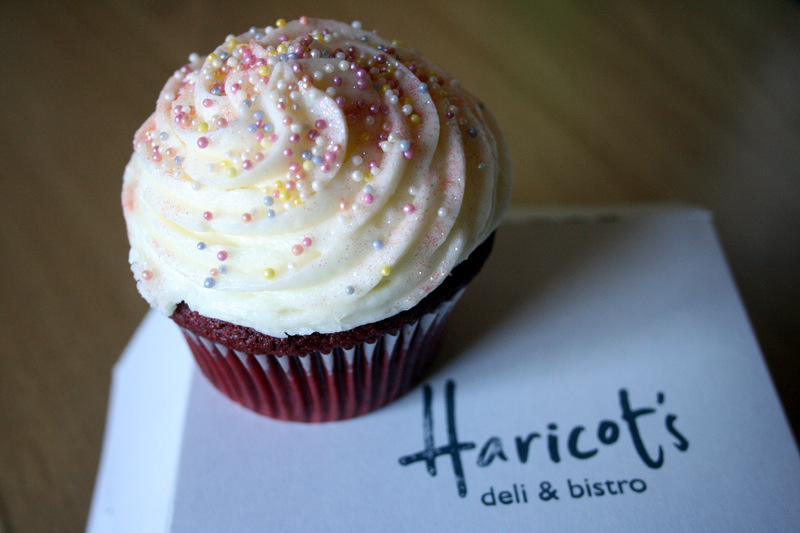 Haricot’s deli and bistro is definitely one of the classiest little cafés in town. Situated very near campus, right across the road from The Rat & Parrot, a local drinking hangout that makes truly fabulous pizza, Haricot’s provides the quaintest little treats and meals. However, for “sophistication” such as this, you really do pay rather heftily in some cases. I went there for a “first date” last year, and (apart from the school children who were out with their families) it was a really romantic venue to take someone for that kind of thing (where it really is a treat) It’s not all expensive, though, so a student can really make it work out for them. Haricot’s makes the best hot chocolate in town, as far as I’ve had (and I have had quite a few). 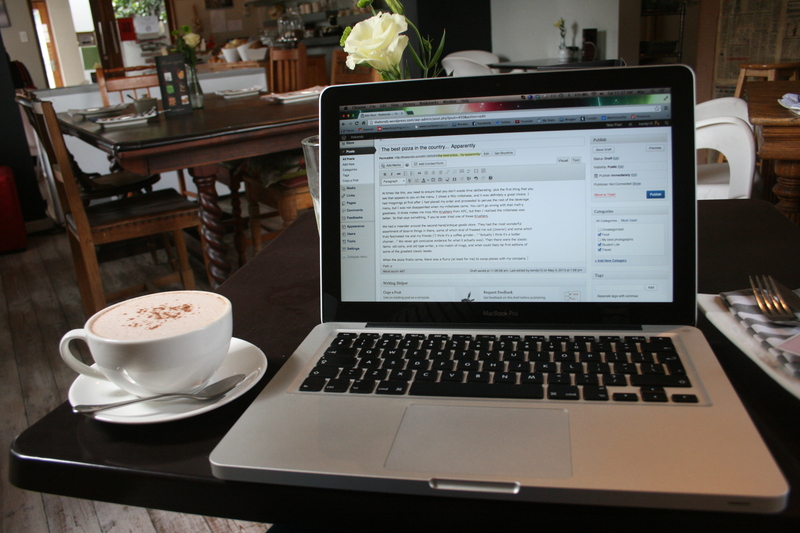 It’s really cosy in there, and I’ve decided that that’s where I like to get work done, if I feel like working in a coffee shop (which I do, of course). 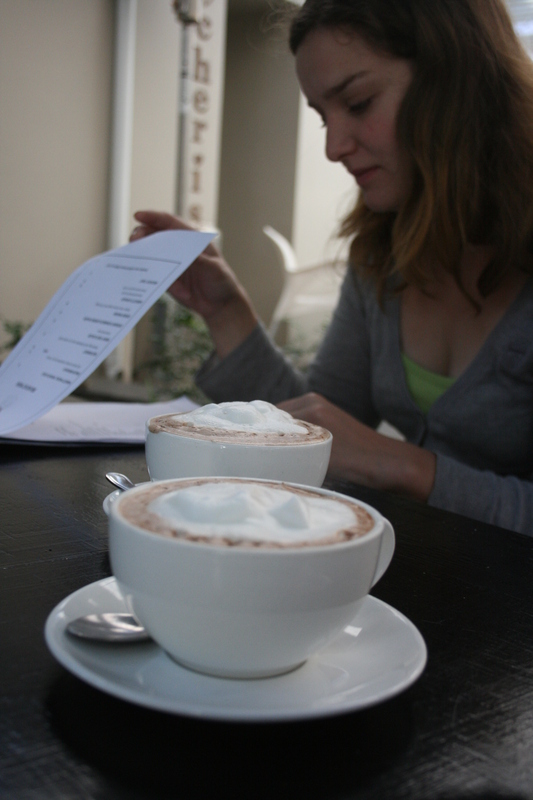 It is also a competitively priced hot chocolate. I went there for breakfast with a friend of mine over the weekend. 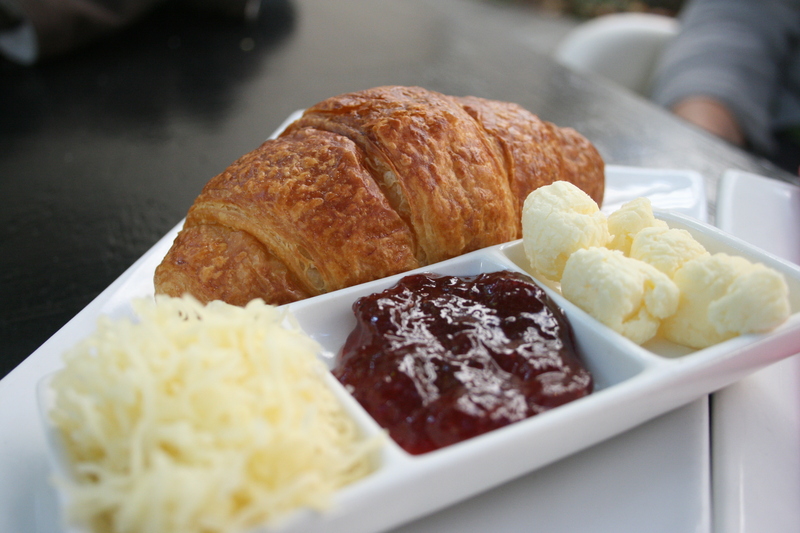 I had French toast, she had a croissant with jam and cheese. While her croissant was a fair bit smaller than my meal, it was about a third of the price. They do cake, of course. The cakes are pretty, sometimes they are extravagant, but all the time they are really pricey. Granted, they are large slices, so maybe it works out well if you go there and share a slice with a friend. But when you’re paying the same price for one piece of cake as you are for a full take-away burger with large chips and a drink, you have to question your sweet tooth. 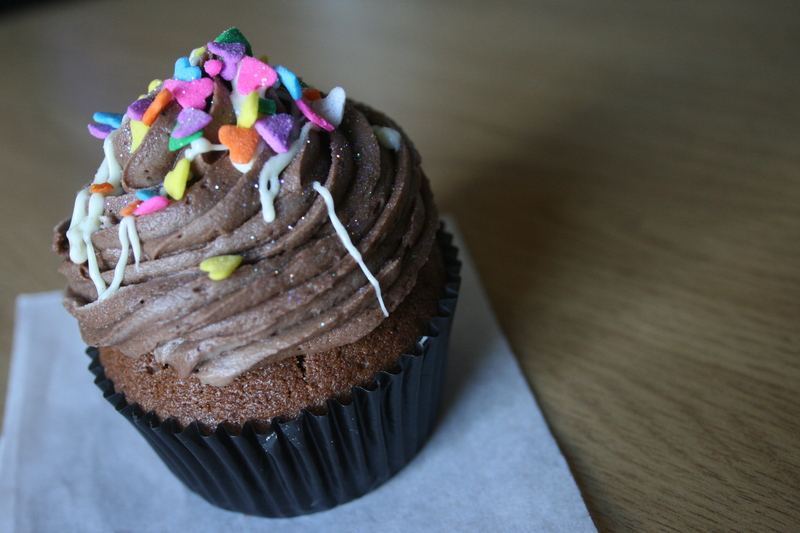 I tend to stick to their cupcakes, which are more reasonably priced, and which are also really delicious. The cupcake they have a solid reputation for, of course, is the red velvet cupcake, and it really is amazing. Make sure you get it fresh, otherwise the buttercream frosting (it tasted like buttercream more than cream cheese frosting, but I could possibly be wrong) will go a bit too hard, and their fresh frosting is light and fluffy and delicious, so don’t miss out.